A consultation is an opportunity for both the potential client and the lawyer to “interview” each other. People sometimes call the office and say they have a quick question. They don’t realize it isn’t usually that simple. When your car makes loud noises and won’t run well, you can’t call up a mechanic and expect an answer to the question of what is wrong with it. You might need fluid, a new belt, or the alternator might be shot. Without an opportunity to lift the hood and look around, a mechanic can’t really tell you what is wrong and how much it will cost to be repaired. It is the same way with the law, especially family law. Each case is unique. Every case revolves around the specific facts, incomes, children, the law at issue, domestic violence if any, the work style of attorney who is on the other side, and the goals of each party. Every attorney has his or her own personality and way of doing things, including what the medical field calls bedside manner. At my consultations, I see my job as explaining to clients what their options are, and then explaining the possible consequences of each, followed by my professional advice concerning which option is the best. It is impossible to give clients an exact dollar amount with the exception of routine flat fee for things such as an uncontested divorce. But, like a mechanic, an attorney should give the client an estimate concerning the task at hand. Why Do I Need to Schedule a Consultation? Prospective clients call the office wanting to “talk to an attorney” and frequently say they just have a few questions. 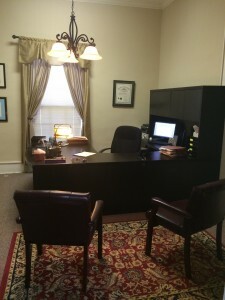 In our experience, however, there are very few quick or easy answers to legal questions and most callers have more than “just a few questions.” In addition, before an attorney can discuss a case with a client or schedule a consultation, he or she must check to make sure there are no existing conflicts of interest. To protect client confidentiality, provide the best client services and to allow us to devote our full attention to existing client commitments, prospective clients seeking a consultation will first speak with a legal assistant, who will gladly schedule an appointment to discuss a case at length with the attorney. This way, clients talk face to face with the attorney (or, we will can schedule a telephone consult) and gain comprehensive, accurate legal advice, carefully tailored to each specific situation.